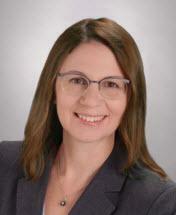 Theresa A. Clarke was licensed to practice law in Texas in November 2015 after graduating from St. Mary's University School of Law, San Antonio. Ms. Clarke is a member of the State Bar of Texas, the Houston Bar Association, Probate, Trusts, and Estates Section, the National Academy of Elder Law Attorneys, the Texas Chapter of NAELA, Houston area organizations Disability and Elder Law Attorneys Association and Attorneys in Tax and Probate, and she volunteers with the Harris County Probate Court Visitor Program. Before joining Wright Abshire in 2017, Ms. Clarke worked in trust administration at The James Street Group, LLC. During law school, Ms. Clarke was a published staff writer on The Scholar: St. Mary's Law Review on Race and Social Justice. Before and during law school, she worked at the University of Texas at Austin, where she oversaw statewide education projects. She previously worked at the National Governors Association and was a Peace Corps volunteer in Guinea, West Africa. Ms. Clarke received a master of public policy from Georgetown University and a bachelor of arts from Michigan State University.